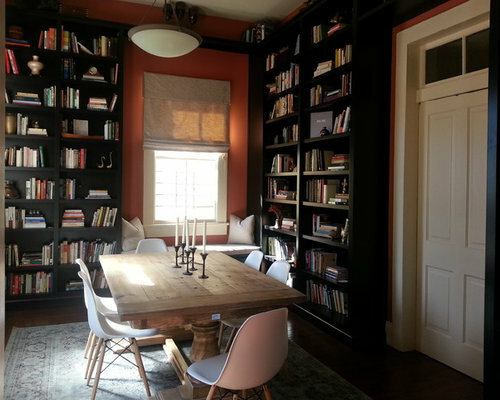 This renovation included the living, dining, and kitchen spaces in this New Orleans shotgun home. Bright pops of color brought new life to a previously drab space, and rearranging the entire layout increased the living and dining areas. 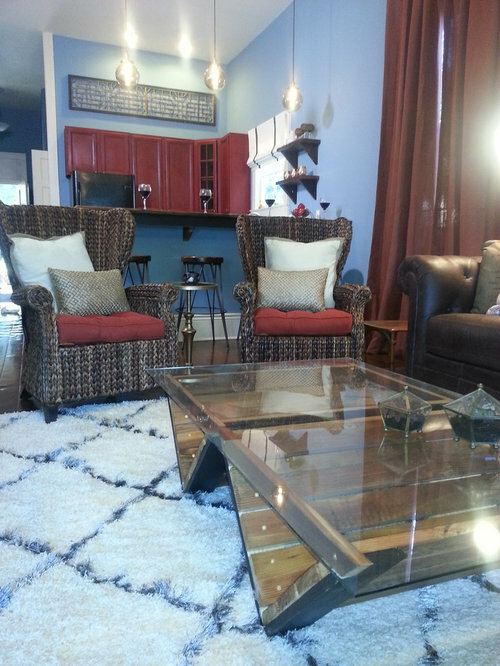 New Orleans shotgun home with a pop of color and custom coffee table made from bargeboard.